You can't do this in the middle of an Olympic final -- so what goes into capturing the sound of showjumping? 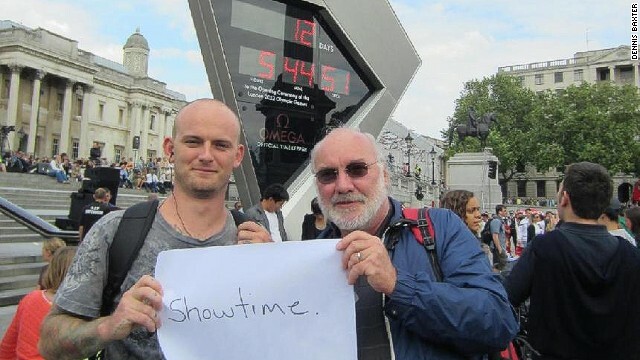 Sound engineer Dennis Baxter, pictured on the right with his son ahead of London 2012, has decades of experience masterminding the sound of TV sports coverage. For Baxter, the signature sound of showjumping is that of a fence clattering to the ground -- as demonstrated here by France's Lionel Guyon and Nemetis De Lalou at London 2012. Tiny microphones on the jumps capture the sound. 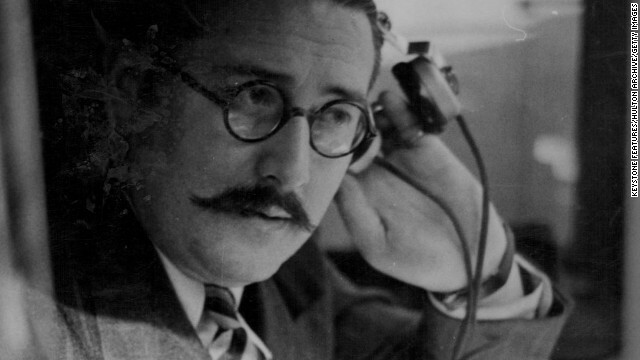 Commentary is an important element of sports coverage, and the BBC's Raymond Glendenning was one of the earliest broadcasting authorities on showjumping, covering the 1948 Olympic Games in London. 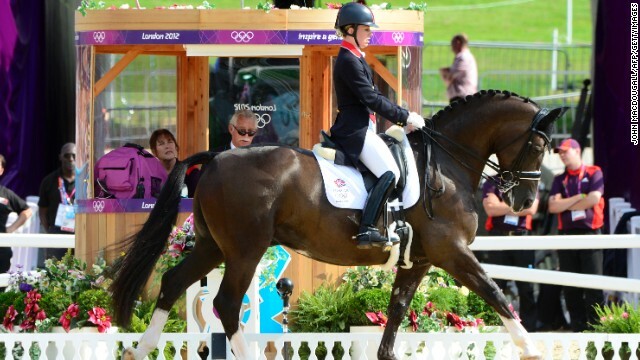 Beyond the crowd and the commentator, dressage also offers the sound of music. 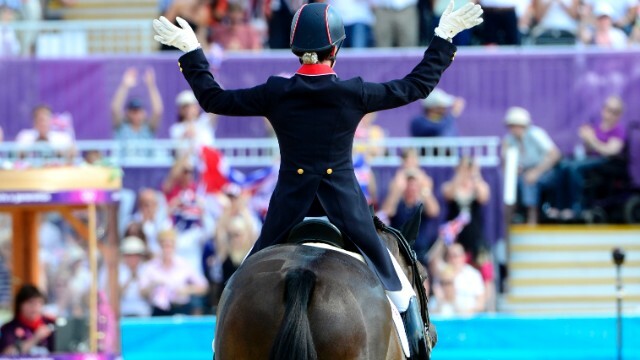 Charlotte Dujardin won gold for Great Britain at London 2012 using a theme which incorporated "Land of Hope and Glory." 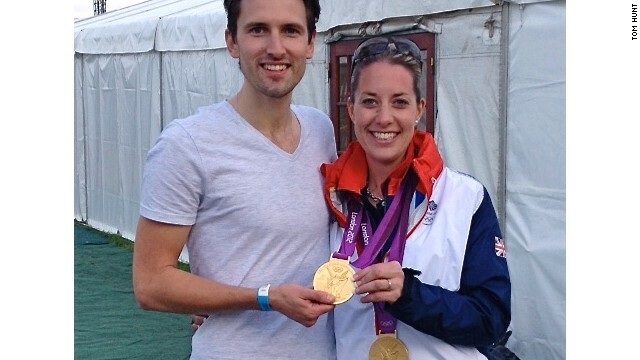 Tom Hunt, seen here with Dujardin and her Olympic medals, used video analysis to precisely match the tempo and rhythm of Dujardin's horse with his composition. (CNN) -- "You can hear the horse hold its breath over the jump." Dennis Baxter has been listening to sounds for so long, he even listens to their absence. Baxter is not only a sound man, but "The Sound Man." His engineering helped form the beating, surround-sound heart of the revolution in televised sports coverage. "If you listen carefully," he continues, narrating, "you can hear the rider talking to the animal. "Maybe a few choice words." Baxter is best-known for his work at the Olympic Games, tackling the timbre of dozens of disciplines to captivate global audiences, winning multiple Emmy Awards. He is the man who first gave you the sound of arrows fizzing through the air in archery, thanks to his brainwave of microphones between the archer and the target. More recently, his was the idea to place microphones beneath the wooden velodrome surface, to intercept the rumbling of Olympic track cyclists in action. Baxter's job is to find the defining sounds of a given sport, and bring them to your TV in the finest detail. He believes that while most people think they are watching TV, how they listen defines their experience. "The details really bring people in," he explains. "TV is consumed in a casual way. Rarely do you sit with full focus on the screen -- you're usually there with your family, or your friends, and you're talking. 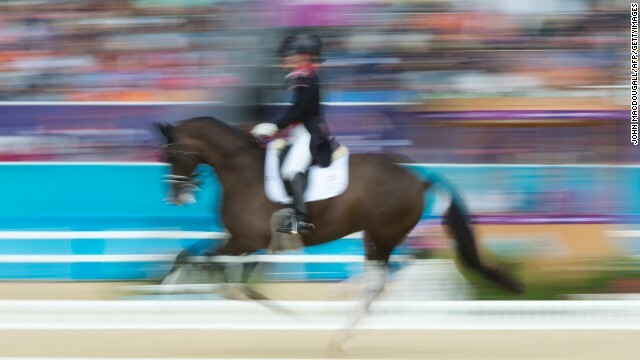 Life has been a blur for Charlotte Dujardin and Valegro since winning double Olympic gold in 2012 courtesy of a host of world records. Dujardin describes the relationship between horse and rider as like a marriage, calling her mount Valegro "my best friend." They have been unstoppable in the past two seasons, with the world championship the only title to elude them. 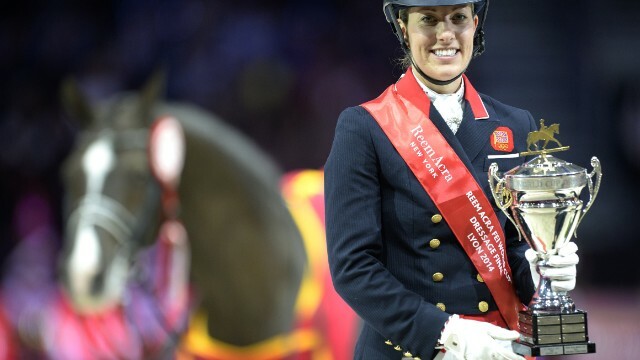 Dujardin broke her latest world record in Lyon in April but believes more milestones could tumble when she and Valegro compete. There have been constant fears, though, that their partnership would be split as Valegro was put up for sale by owner Carl Hester. But horse and rider look set to ride into the sunset, with Dujardin being told that Valegro will never be sold despite a possible $10 million price tag. The pair will forever be remembered for winning double gold at the London 2012 Olympics. 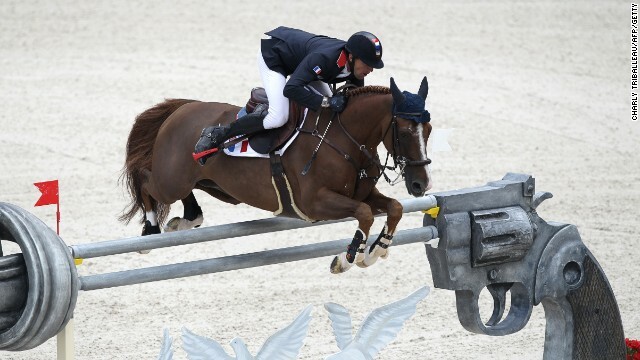 Dujardin had claimed to be happy to have qualified, but dominated the competition with a series of faultless displays. "It's the sound that brings you back into the show. The detail pulls the audience back in. "The thing I like most about equestrian is that detail in the coverage. The little, bitty micro-sounds of the horses and the riders. "You can close your eyes and hear the image of a horse. There is so much there." Ask most people for the sound they most readily associate with equestrian sport, and the chances are it will be the hollow clang of a jump clattering to the floor. To capture that sound, Baxter uses an array of small, wireless microphones attached to the jumps on the course. Back in the broadcast truck, a sound mixer then has the job of seamlessly threading between these dozens of microphones to create the finished TV experience. "The jumps are interesting because when they fall to the ground, it's never a flat fall," says Baxter, as though describing an artwork hanging in a gallery, or a fine wine. "There's a nice, resonant sound with an echoing tone. The camera may not be on that moment but, when you hear that sound, you know exactly what has happened. "But then -- and I've thought about this recently -- you have to decide if you want to have a constant barrage of sound or a coming-and-going. We give the sound a chance to breathe between the jumps. The more you listen, the more natural it sounds." Like the horse holding its breath, Baxter is a fan of quiet as much as he admires sound. That extends to voices. "Music today is so compressed that it never really breathes, and I hate to see television get that way," he complains. 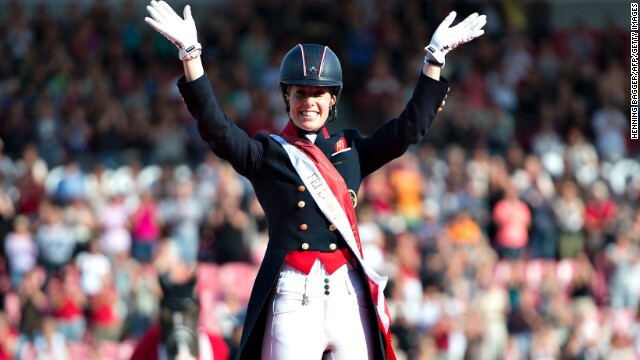 Princess Haya says equestrian sport is "up for a fight" to defend its place at the Olympics as she finishes her eight years leading world horse sport. Haya competed for Jordan as a showjumper at the Sydney 2000 Olympic Games before her election as president of the FEI, world horse sport's governing body. Her husband, pictured with Haya on the right, is Dubai's ruler Sheik Mohammed bin Rashed al-Maktoum -- also the prime minister of the UAE. 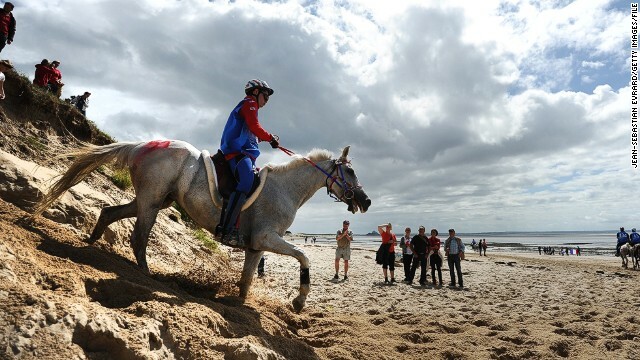 They are seen here at an endurance race, a sport in which the Sheik is a champion rider, though he has also been found guilty of doping in the past. Princess Haya says opportunities exist for women at the top of world sport, but there is a "vacuum" between the grassroots level and positions of power. Haya will step down in December 2014 to spend more time with her family and work on humanitarian causes. Here she is shown with one of her two children, daughter al-Jalila, in 2011. Haya's wider role includes ambassadorial duties on behalf of Dubai, including presenting Czech tennis player Petra Kvitova with the WTA title she won in the emirate last year. Sheik Mohammed and Princess Haya are regulars at Ascot, indulging in the Sheikh's other great horse passion, racing. "It does bother me that everything is driven by the narrator. You need to tell the commentator to shut up, and let's just listen." The commentator, as it happens, concurs. 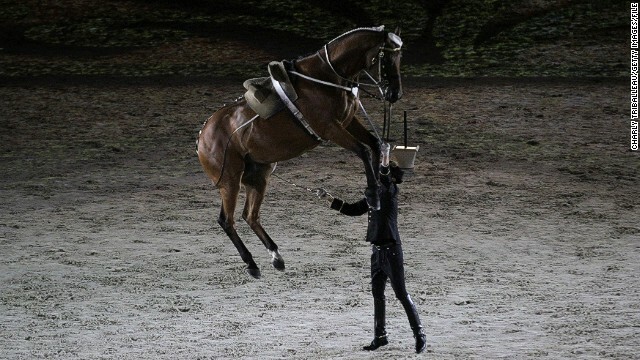 "I totally agree," says Steven Wilde, one of the world's leading showjumping commentators. "I listen to a lot of different sports -- including our own sport and how it's presented in different countries -- and it's definitely possible to talk too much. You don't have to talk over every inch of it." Yet if you are watching at home, Wilde's voice is as much a part of the soundtrack as Baxter's breath-holding horse. "I grew up helping out at some shows. I used to be the man on the public address system. 'Please keep your dogs on a leash,' etc. Then somebody asked why didn't I try commentating," Wilde recalls. "I was naturally a very shy person, it was the last thing I expected ever to be doing. But you take on a persona, I suppose." Wilde now travels the globe, talking about horses for a living at the sport's biggest events. "One of the main challenges is keeping it fresh," he admits. "If you're seeing the same top riders all the time, you want to keep up to speed on them. News changes so fast now, so you're reading the internet all the time, looking at Twitter. "That side generally takes a lot more time than people think. Today, for example, I've been at the show (in Los Angeles) chatting to everyone and getting more depth on how the horse is going, what they're doing socially. "That gives me more color than picking up a piece of paper that simply says what they won at the Olympics. "The hard part is not talking, it's preparing." At first glance, it might appear to be a fantastical circus performance. 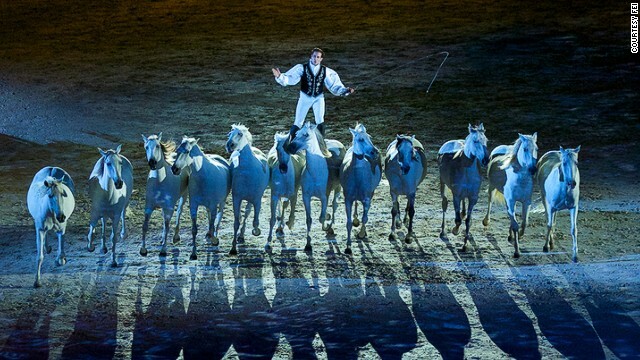 In fact, this is the opening ceremony of the World Equestrian Games, which wrapped up this week. The jumping events were given a surreal Dali-esque twist with fantastical obstacles in the ring. Here, South African Cara Biana Frew takes a leap of faith over a giant painter's hand. While athletes in other sports might be more familiar with starting guns, theses international equine experts had a very different interpretation. 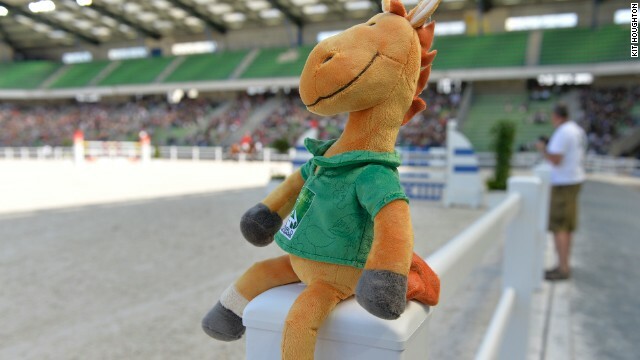 While the horses and their riders battled it out in the arena, mascot Norman -- named after the French area of Normandy -- surveyed the action. By the end of the Games, the hugely popular plush toy had disappeared from shop shelves. From the arena, to the beach, the variety of sports at the Games was huge. Here, riders take part in a 160 kilometer endurance race. 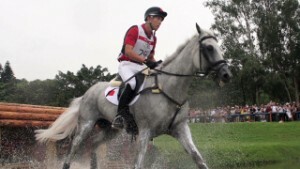 British rider Harry Meade dives in the deep end during the cross-country category. 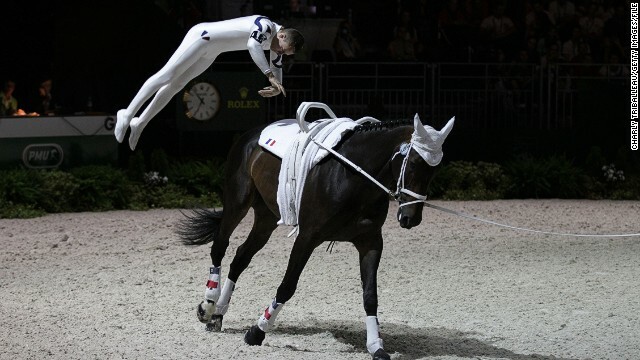 French rider Vincent Haennel shows off some breathtaking moves during the vaulting, which is essentially gymnastics on the back of a horse, a sport where athletes clad head-to-toe in spandex perform handstands, leaps, and cartwheels on top of an animal cantering in a 20-metre circle. A little less graceful is the unusual sport of horse-ball. Here, France's Cecile Guerpillonand Spain's Laura Font go head-to-head. 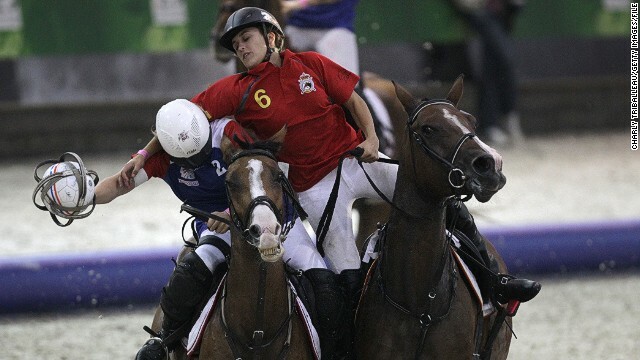 And in the rough-and-tumble world of horse-ball, it's not always easy to keep on top of things...as France's Shirley Antoine found out. 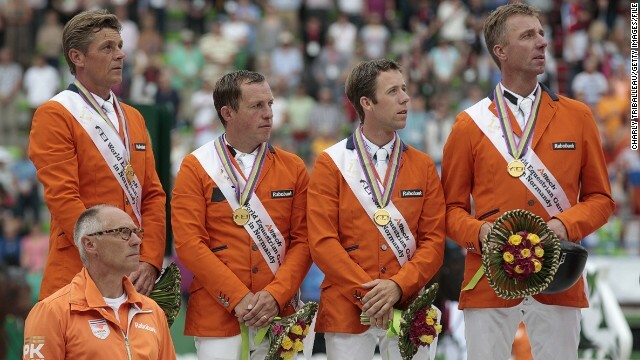 The Dutch team stayed up to win the men's jumping competition. Pictured are coach Rob Ehrens, Jeroen Dubbeldam, Gerco Schroder, Maikel van der Vleuten and Jur Vrieling. 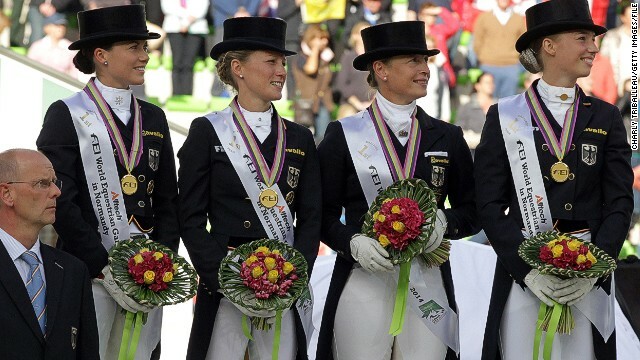 Meanwhile, a dashing looking German team won the dressage event. Pictured are captain Klaus Roeser, Kristina Sprehe, Helen Langehanenberg, Isabell Werth and Fabienne Lutkeimeier. You now have Baxter's carefully crafted natural sound of the event, dozens of microphones mixed into a delicate blend, lapping softly below Wilde's narrative. There is at least one more element, though: music. Not a feature in jumping, music is a required component in sister sport dressage. The freestyle routine, widely regarded as the climax of any major dressage event, demands that rider and horse move in precise harmony around an arena, executing precision maneuvers to a soundtrack of their choosing. Once, comparatively little thought was given to the music used. Now, dressage composition is an industry in its own right. Tom Hunt composed the freestyle score to which Britain's Charlotte Dujardin won Olympic dressage gold at the London 2012 Olympics. "The Olympics was the culmination of a lot of things, but making it was quite stressful," says Hunt of his patriotic theme, featuring "Land of Hope and Glory." "At the Olympics, we had to do that -- and it was quite regimented, in a way. "I had the most fun with the last freestyle I did with Charlotte (for this season). We could try some different styles of music." Composing the music requires a degree of precision you might not expect. Hunt uses video analysis to fine-tune the rhythm and tempo of his composition, ensuring it precisely matches the expected movement of the horse at each stage. Sometimes, he will never meet the rider or horse for whom he is composing, working purely from video. 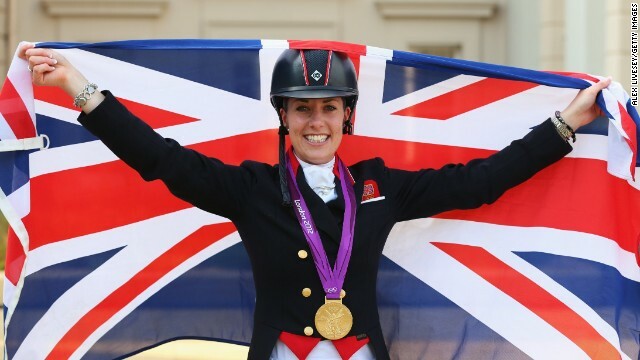 "For a rider like Charlotte Dujardin," he adds, "I'll go down and watch Charlotte ride around, I'll take several videos, and I'll go back again to go through the music with her. "It takes a few visits to see the horse, get the footage, take it away and work with it. "Sometimes, the riders give me free rein with the music. The top riders often have a clearer idea of what they want, and that can help the process but it can also hinder it." 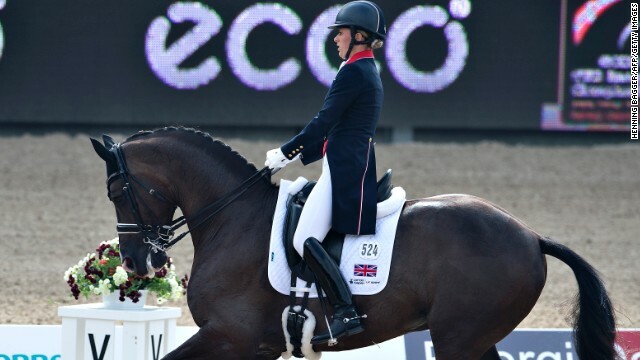 Hunt got started when he finished his music degree and found himself watching dressage on TV. ("When I saw it, it didn't seem like the music was fitting," he remembers.) Now, he is excited for the future. "There's a lot going on in freestyle at the minute," he says. "It's really developing and I want to see how it progresses over the next five to 10 years. "People are getting better music and I think the judging will probably change, so it'll be quite an interesting thing to be involved with. "It's getting to be a big part of the sport -- it's getting the crowds, and people acknowledge the music more. It makes the sport more accessible." Baxter, too, is looking ahead. "Wireless microphones on anything that moves, in any competition whatsoever, is the future," he declares. 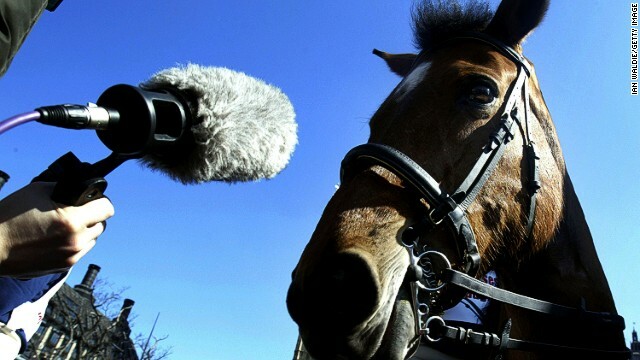 "We've been asking to put microphones onto the athletes, and the horses. We've not been successful yet, but I think, pretty soon, we will be." 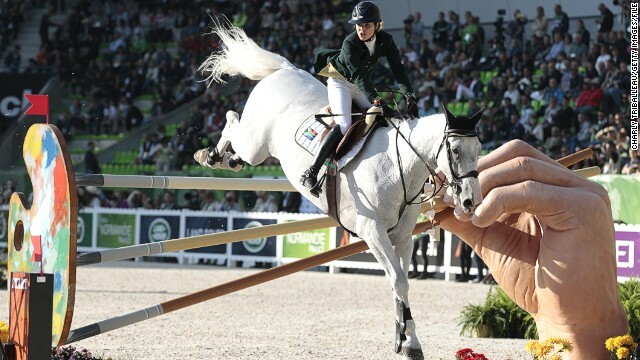 Read: The hottest rider in the horse world? If you thought dressage was all starched shirts, hair buns and tailcoats then Clémence Faivre is about to change your perceptions. 'Don't come back too quickly,' her friends said following the birth of her first child, Mia. But Zara Phillips was chomping at the bit. "Wireless microphones on anything that moves, in any competition whatsoever, is the future." Is this the sound of sport getting better? 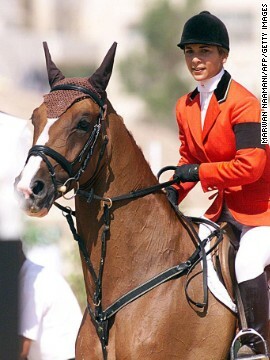 Princess Haya of Jordan has dragged equestrian into the modern age and secured its immediate Olympic future. But now the royal is moving on. 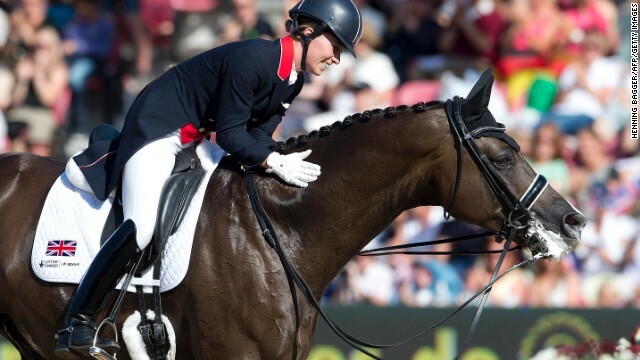 Following her World Equestrian Games success, Britain's Charlotte Dujardin is the first rider to hold all of the major dressage titles at one time. The hottest rider in horse world? The World Equestrian Games is over for another four years, with the sport's stars having set new standards of excellence in France. Mom's a legend: What should I do? When your mum is a Brazilian basketball legend, it can't hurt to try something different. How about dancing with a horse? Luxury foot care - by blacksmiths? When you're buying new shoes, wouldn't it be nice to find a pair made for your feet alone? These horses know that luxury. The recipe for vaulting success? Take one dentist, a catsuit, a horse and a barrel, and you have a world champion. 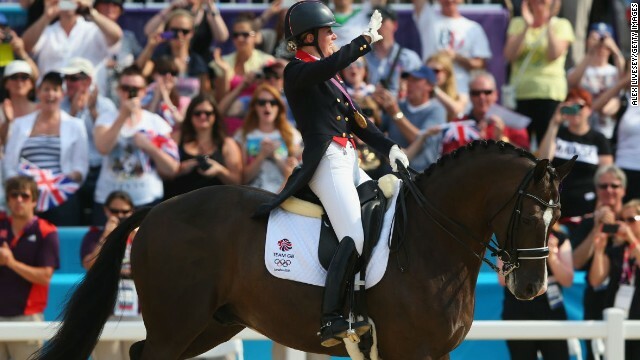 For Charlotte Dujardin, the price of success was almost losing the thing she cherished most. 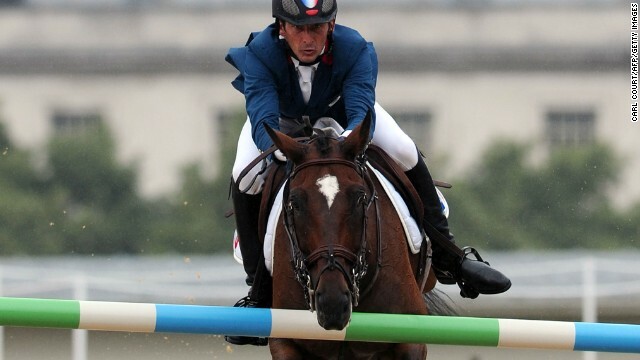 CNN's guide to the Olympic equestrian disciplines of dressage and showjumping. Do you know reining from vaulting? Click through this pictorial guide to equestrian disciplines.